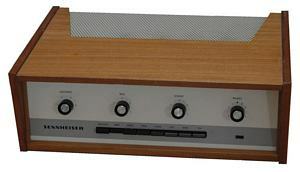 This is one of the PE-Sennheiser-Telefunken joint venture amps. 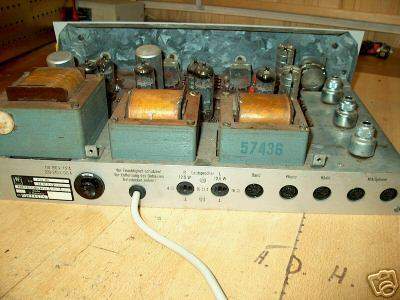 And though looking pretty different, the EL86 amps (HSV25 or VKS203) are built on almost the same chassis as the Sennheiser 254. The EL86 is a good working amp with a nice frequency response (could have been worse with the tone controls). 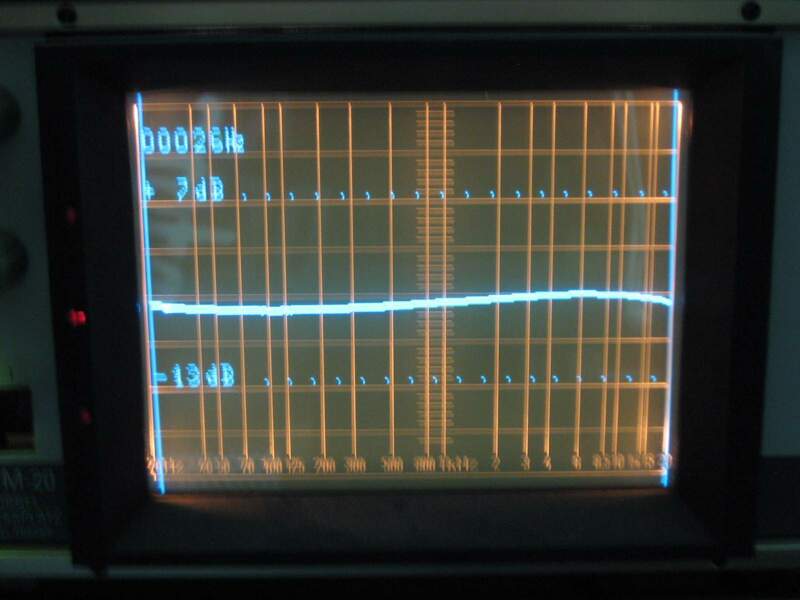 The "loudness style" frequency response curve is activated when pressing the "leise" button. 2x10 watts RMS measured.